This home and location will take your breath away! The lush landscaping and grandfather oaks lead to the front French doors with elegant faceted glass insets. Unifying wood-look ceramic tile flooring throughout the home. The cookâs kitchen features light quartz counters and low breakfast bar, glass tile backsplash, farmhouse sink, under counter lighting, and appliances including a gas range, new refrigerator and microwave. The new cabinets have soft-close and pull-out drawers, three carousels, and a spice rack. The living room opens to the screen porch with glorious view of Alligator Lake, complete with dock and pontoon boat. The hot tub also conveys. Back inside, the master suite features a bedroom large enough for a sitting area and opens to the screen porch also. The master bath has dual sinks, quartz counter, and huge walk-in shower. Bedroom 2, which could be a second master suite has its own all-new bath, and access to the back porch. There is a dual-sided fireplace, facing the living room, and master bedroom. Here are the additional new features of the home: new metal roof, water pump, water heater, drainfield, AC system and ductwork, privacy fence, garage doors, irrigation system, and more! No HOA and no thru traffic. 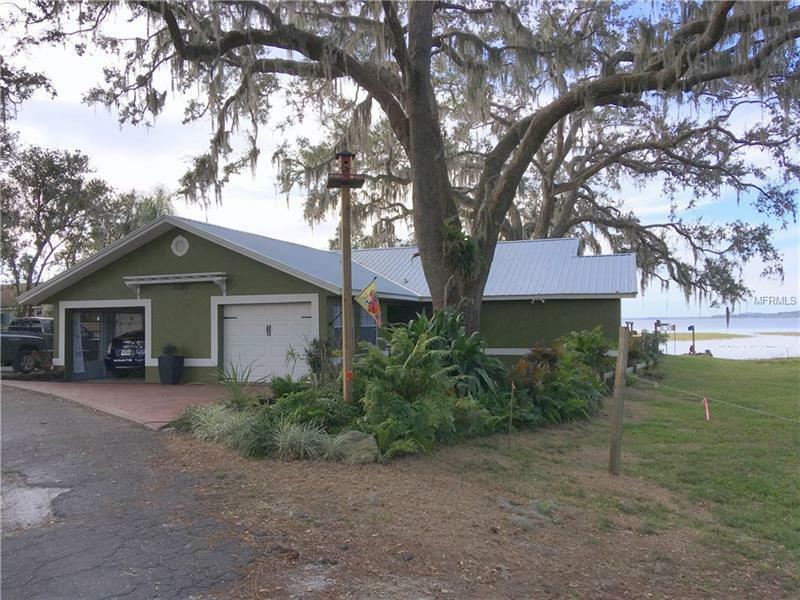 Enjoy the outdoors, boating on the Alligator Chain of Lakes, or just enjoy the sunset view from the screened back porch. Either way, you will love it here!